"There are many wonderful reasons why train travel in countries you�re visiting for the first time is so great, and travelling by train in Vietnam is no different. Some of the more obvious reasons include seeing the countryside that you would otherwise have missed from the air. It�s usually much cheaper than flying, and if seeing the countryside doesn�t mean that much to you, if you get your timings right you can take an overnight train and save on the cost of a hotel. After all, when travelling nomad-style every penny counts!" 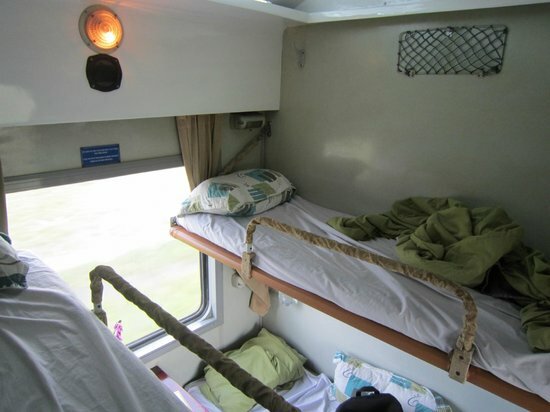 Trains in Vietnam - all have air conditioning and are safe, comfortable and cheap. 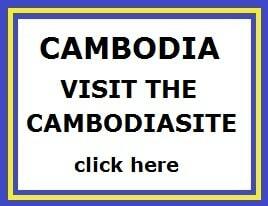 It is the ideal way for independent travellers to get around in Vietnam and you'll have a view from the ground floor. Travelling by train is a real Vietnamese experience in itself and should be a part of your visit to Vietnam. You could meet the real Vietnamese people in the train. Inexperienced travellers sometimes think that they can save time by taking a domestic flight. But .... in fact the overnight train saves you time from Hanoi to Hue or Danang, compared to flying because the train departs from Hanoi in the evening and early morning you'll arrive in the city Hue. But it is more than this, because a train is a real Vietnamese experience, flying is a missed opportunity. Flying takes easily four to five hours of your day to complete: travelling to a remote airport, checking in, taking the flight itself, collect your luggage and then to the center of town. The sleeper train also saves a hotel bill. And what's the hurry? Trains have air conditioning and on-board catering. These trains go to Hanoi, Hue, Danang, Nha Trang and Saigon (Ho Chi Minh City). Hoi An has no station, but it is only 30 km by bus or taxi from Danang. There are also trains from Hanoi to Haiphong (Halong Bay) and Hanoi to Lao Cai (Sapa). Trains between Hanoi and Saigon are sometimes referred to as the "Reunification Express" by guides and travel agencies, but there are now a number of trains on this route and no train carries the official name. 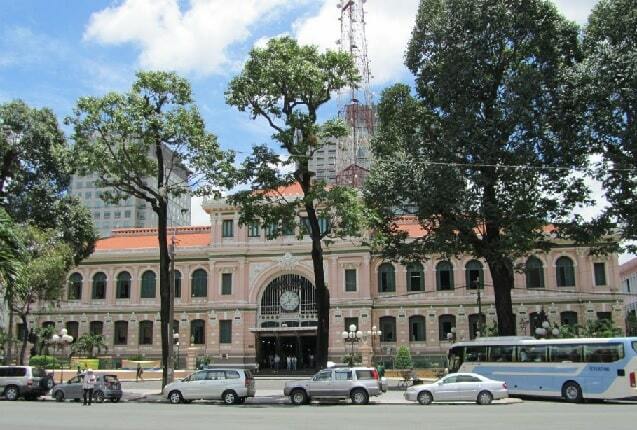 The railway was completed by the French in 1936 and connected Hanoi with Saigon until 1954. Then Vietnam was divided into a north and a south and the line was cut off. The trains from north to south were resumed on December 31, 1976, after the reunification of the country. You can also easily travel the length of Vietnam by the Reunification Express, a travel experience that is really beautiful. Along the coast and hills ... 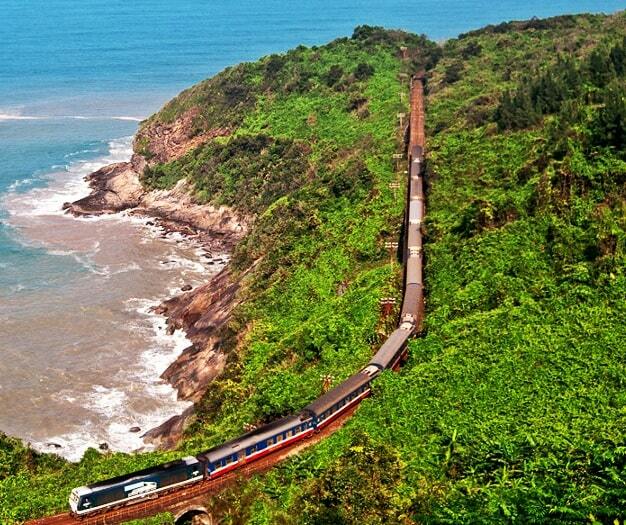 The most magical part between Hanoi and Ho Chi Minh City by train is the picturesque area between Hue and Danang. That is truly world class. The train runs along the South China Sea, winds from the cliff into dense jungle and along white beaches and remote islands. Sometimes there are the lush green mountains and the you go up to the the Hai Van Pass until you reach finally the city of Danang. Rice fields, palm trees, water buffalo's, Vietnamese cities and towns ... You get a real insight into Vietnam when you're travelling by train, both urban and rural, which you don't get at 35,000 feet altitude. And if you're in local skills you learn tp know the real Vietnamese locals, because that is in the train the same as in the villages. Most Western visitors choose to travel with a soft, air-conditioned place to sleep. "Soft sleeper" compartments have four berths, each equipped with pillow, sheet and duvet and an individual reading light. By day you can just sit on the lower berths. You take your luggage - regardless of size - on the train with you and keep them close to your seat so you have during the trip all by hand. Bicycles and even motorcycles can be transported for a little fee on the train. Train fares in Vietnam are low and sleeper trains also save you money of hotel bills, as well as the cost of taxis to and from the airports, which are usually located outside the city.